This event has products for sale. You can purchase these products now or through your account at a later time. The Yuengling Shamrock Marathon Weekend VIP Experience has been designed to alleviate pre-race and post-race jitters. Visit our website for more details! Celebrate your race weekend experience by personalizing your medal with an iTAB engraved with your Name and Official finish time which slides neatly on to the medal ribbon. After the race your iTAB will be engraved and mailed to you with the ribbon attachment. 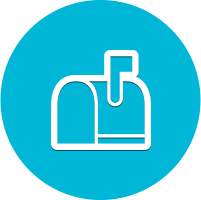 If you cannot pick up your packet during the Expo hours and do not have someone else that can pick it up for you, For a fee of $25, we can mail you your packet. If you cannot pick up your packet during Expo hours and do not have someone else that can pick it up for you, For a fee of $25, we can mail you your packet. The packet mailing option will close on Sept 16th at 11:59PM. Packets will be mailed out the week of Sept 24th. Keeps all 32 ounces of your coffee hot and your beer - or water or sweet tea or lemonade or whatever - cold. It's stainless steel and double walled so it won't sweat like you do. This shirt is a must have for those days you ditch your broom and lace up your running shoes. Features moisture wicking fabric in a sporty charcoal and purple heather raglan design. 100% polyester. There ain't no rest for the Wicked, so keep chasing those goals in this SportTek Posicharge tank. Features moisture wicking fabric and a relaxed, comfortable fit. 100% polyester. Witches who wine together win together. This stemless pint glass can fit 21 ounces of whatever you've bubbled in your cauldron. Available in orange or black. Run Wicked fast in this short sleeve tech shirt. Features moisture wicking fabric and honeycomb panels for breathability as well as reflective details on the sleeve and back for safety. We've creepified the King, making this a must have for your collection. The Norfolk Harbor Half VIP experience has been designed to alleviate pre-race and post-race jitters. Visit our website for more details! It's pronounced "NAW-fick." And this tech tee features its skyline in the text. Unisex sizing. The packet mailing option includes the shipment of your race bib number, participant t-shirt and goody bag! It's smooth sailing with our favorite Brooks Distance tee. 85/15 poly/cotton blend makes it fast drying but soft against your skin. Add a Donation Please consider making a donation to support a great cause! I have read and agree to the We've read and agree to the Participant Waiver and to haku's Terms & Conditions. I understand that shirt sizes are not guaranteed, there are no refunds and participant transfers and deferments must be completed by the deadline. This event is protected by the Adventure Advocates event cancellation refund benefit powered by the Nicholas Hill Group event cancellation insurance program. Adventure Advocates will provide a full or partial refund of your registration fee to you should the 2020 Yuengling Shamrock Marathon Weekend be canceled or postponed for one of the following reasons and not rescheduled within 90 days. Adventure Advocates is not providing an insurance plan to you. Adventure Advocates is providing a refund guarantee on behalf of the Event that you are participating in should the event be canceled due to certain circumstances. Please note, for the refund to be paid, the Event that you are participating in must maintain it’s Event Membership in Adventure Advocates until the event has occurred or has been canceled per the terms of this Disclaimer. Adventure Advocates will provide the refund money to haku App Corporation, Inc. (“haku”), who will then distribute the refunds back to the credit or debit cards that were used to originally register for 2020 Yuengling Shamrock Marathon Weekend. Adverse weather - means any adverse weather that involved conditions that posed a serious threat to the safety of those individuals attending or setting up the insured event or made it physically impossible to use the venue due to physical damage of the venue or complete inaccessibility to the venue. Natural Catastrophe – means earthquake, tsunami, flood, volcanic eruption, hurricane, tornado, forest fire and/or any other extraordinary meteorological event causing widespread damage. Terrorism – means an act or series of acts, including the use of force or violence, of any person or group(s) of persons, whether acting alone or on behalf of or in connection with any organization(s), committed for political, religious or ideological purposes including the intention to influence any government and/or to put the public in fear for such purposes. Notwithstanding the forgoing, this does not cover any loss, cost or expense directly or indirectly arising out of, contributed to or caused by, or resulting from or in connection with: 1. Any fear of a potential act of terrorism; 2. Any threat of an act of terrorism, except that this policy is extended to include loss or damage as a result of an threat of an act of terrorism in which such threat results in a public safety civil authority issuing a written order resulting in the inability to hold the insured event as scheduled; or 3. Any act of terrorism involving a nuclear weapon or device or the emission, discharge, dispersal, release or escape of any chemical or biological agent. I know that participating in a Yuengling Shamrock Marathon Weekend Event is a potentially hazardous activity. I should not enter and participate unless I am medically able and properly trained. I agree to abide by any decision of a race official relative to my ability to safely complete the run, however, I also acknowledge that race officials are not responsible to know my medical condition or my ability to participate in and complete this event. I assume all risks associated with participating in Shamrock Marathon weekend activities including, but not limited to falls; contact with other participants, volunteers and spectators; the effects of the weather, including high heat and/or humidity; traffic and the conditions of the road;, and holes and obstructions along the route, all such risks being known and appreciated by me. I agree to medical treatment needed as determined by race medical personnel and waive the right to hold those personnel accountable for any adverse effects that should arise from said treatment. Having read this waiver and knowing these facts and in consideration of your accepting my application, I, for myself and anyone entitled to act in my behalf, waive release and hold harmless any and all race directors, officials, volunteers and sponsors, including but not limited to, J&A Racing, Inc, City of Virginia Beach, State of Virginia, US Army, US Navy, USATF, and their representatives and successors from all claims of liabilities of any kind arising out of my participation in this event. I grant permission to all of the foregoing to use any photographs, motion pictures, recordings or any other record of this event for any legitimate purpose. Registration Rules:There are absolutely NO refunds, even in the event of a race cancellation, unless you purchase Race Insurance. No exceptions. Once we receive and accept your entry, you will NOT receive a refund if you cannot participate. IF ATHLETE IS UNDER AGE 18: This is to certify that my son/daughter has my permission to compete in the Shamrock Sportsfest weekend events is in good physical condition and that race officials have my permission to authorize emergency treatment if necessary.